Music rights for this series about a struggling rock radio station have long been restricted; if you saw it in reruns, you heard heavy editing. For this 2014 release, "it's a dream come true to have the majority of the music reinstated" (Morton Report), including songs by the Stones, Paul McCartney, Grateful Dead, Neil Young and more. 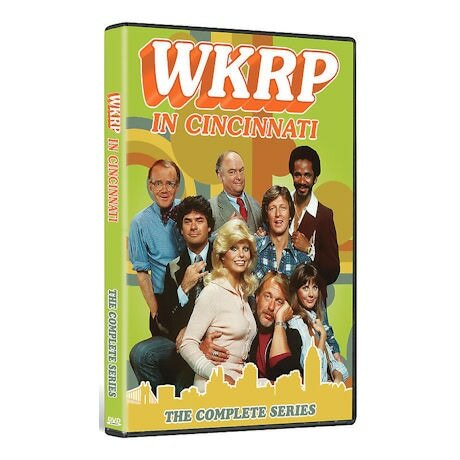 Nominated for three Golden Globes, this CBS sitcom (1978-82) stars Howard Hesseman, Tim Reid, Gary Sandy, Gordon Jump, and Loni Anderson as razor-sharp receptionist Jennifer Marlowe. 90 episodes, 37 1/2 hrs, 13 DVDs. Howard Hesseman, Tim Reid, Gary Sandy, Gordon Jump, Frank Bonner, Richard Sanders, Jan Smithers, Loni Anderson.